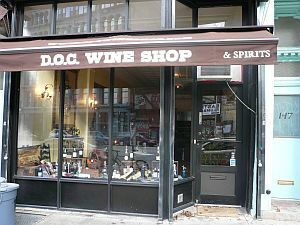 DOC WINE BAR is one of our top picks for a good time in Lincoln Park. The reason that we rate them so highly is that they take their craft seriously, but they also know that drinking wine is supposed to be fun. When you're tasting wine at this upscale and modern bar, you don't have to worry about having the perfect technique or making a mistake! They want you to relax and enjoy yourself. And since they do, you will. We love the fact that you can get your wine by the glass, by the half bottle, by the full bottle, or as a wine flight. Delicious food too. Excellent space to rent for private parties!